120Hz refresh rate. Enjoy fast-paced movies, sports and video games with the minimum motion blur. Enjoy the picture from multiple angles. Wide 178� viewing angle provides a clear picture for viewers seated near the side of the screen. First the picture is SPECTACULAR - fantastic with a regular HD content but incredible with a 4K content. Great color and detail. 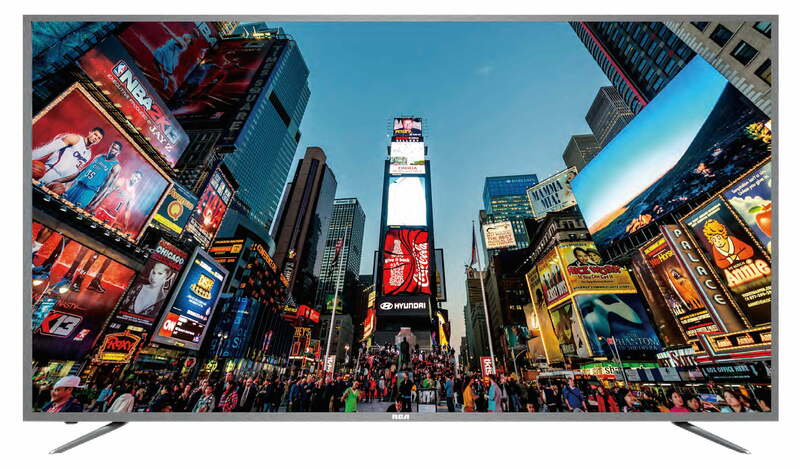 It's a fantastic value - it's priced $500-600 less than competitive 75 inch but a 78 inch is really close to an 80 inch in size but it's half as much as an 80\". The TV looks really cool as well - screen is huge but the bezel surrounding the screen is really thin. You won't be disappointed. Tbook.com crawls the web to find the best prices and availability on products like RCA 78" Class 4K (2160P) LED TV (RTU7877). This product is one of the more popular items we list which is why it is in our "hot deals" section. If you have any questions on this product, please give us a call at 734-971-1210 during the hours of 9am - 5pm EST for assistance. Thank you for shopping at Tbook.com, the Internet Department Store!